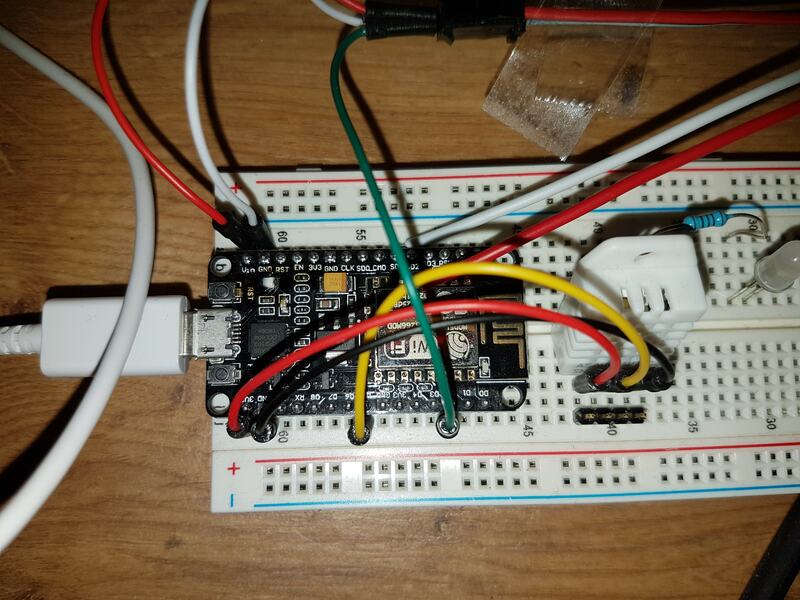 I have a NodeMCU where I connected a LED strip (WS2812b, which operates at 5V). NodeMCU is powered via USB 5V. The used power adapter can supply 2.5A max. I don't have a separate power supply for the LED strip yet, so I connected it to VIN/GND of the NodeMCU. 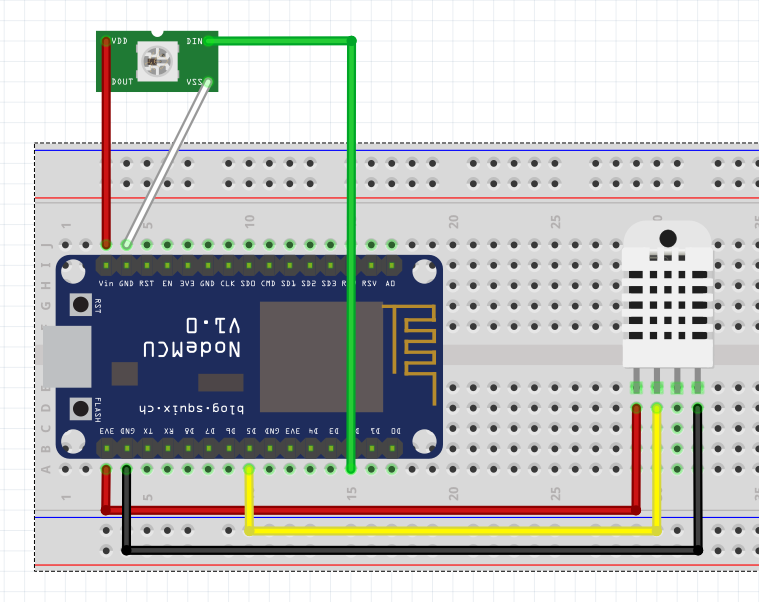 Yesterday, I took the NodeMCU (without led strip) to my PC and uploaded an updated sketch. After that, back in the living room, I connected the NodeMCU with the led strip and the USB power supply. I didn't need an ambilight at the moment so I left it off. After 5 minutes, I smelled something burned. As you can see in the second image, the component below ground is burned. I had this setup successful running for a week (with ambilight turned on for several hours) and had no issues at all. Did I something fundamental wrong? Any guess, why it works flawless and then suddenly burned after just 5minutes? Any tip/suggestion is very appreciated! The white component on the right is a DHT22 temperature sensor and has been added for completeness. The resistor and LED on the right are not used, they were just plugged in from a previous setup. Yes, you did something fundamentally wrong. The component that blew up is a diode. It is designed to protect the USB from voltage being injected into the board. That diode can handle an absolute maximum of 1A. Any fault on your LED strip connection (a short to ground) will cause that diode to vacate the premises. As yours did. The purpose of the VIN pin (as the label suggests) is as a voltage input. It's not really designed to provide power to other devices, especially as the ESP8266 itself can take more than half that 1A power budget when communicating. You should not use VIN for powering anything more than maybe a couple of low power sensors. LED strips are a big no-no. Not the answer you're looking for? Browse other questions tagged esp8266 usb nodemcu ws2812 or ask your own question. WEMOS D1 MINI NodeMCU, how to correctly powering it? NodeMCU capable of key injection?